Shelley Case gives us the lowdown on gluten-free eating. There are a lot of misunderstanding and myths out there when it comes to what a gluten-free diet means. If you are told to go on a gluten-free diet, the amount of information to wade through can be overwhelming. Nutritionist Shelley Case, author of Gluten-Free Diet: A Comprehensive Resource Guide, gives us the lowdown on gluten-free eating. Gloria Tsang, RD: There is a lot of misunderstanding and myths out there when it comes to what a gluten-free diet means. If you are told to go on a gluten-free diet, the amount of information to wade through can be overwhelming. Welcome to the Nutrition Tidbits podcast. This is Gloria Tsang, Editor-in-Chief for HealthCastle.com. Joining me today is nutrition expert Shelley Case, author of the book Gluten-Free Diet: A Comprehensive Resource Guide. She is here today to give us the lowdown on gluten free living. Thank you for joining me Shelley. Shelley Case, RD: Thank you. It’s great to be with you today. Gloria Tsang, RD: So what’s gluten and what foods contain gluten? Shelley Case, RD: Gluten is the general name for specific proteins that are found in the grains, wheat, barley and rye. When someone that has a disease called celiac disease, when they eat any foods that are derived from those grains, they cause a toxic reaction in the small intestinal tract and causes a whole hosts of symptoms. Gloria Tsang, RD: So how do people know whether they have celiac disease or not? What symptoms will they experience? Shelley Case, RD: That’s what makes it so challenging. Unlike diabetes and other diseases where they tend to have just a few symptoms, someone with celiac disease can have a variety of symptoms that range from gastrointestinal problems such as abdominal pain, bloating, gas, diarrhea or constipation or even both. But they can also have other symptoms like bone and joint pains, migraine headaches, canker sores, easy bruising of the skin, depression, chronic fatigue, anemia, secondary lactose intolerance, menstrual irregularities, infertility – just a whole range of symptoms from person to person which is why it’s difficult to diagnose. Gloria Tsang, RD: So are there any tests that one can go through to make that diagnosis? Shelley Case, RD: Yes, there are two tests that are used. One is a blood screening test. They are looking for specific antibodies to gluten. Although this is a very good screening test that the family doctor can order, it’s only about 90-95% accurate. In other word, you will miss some cases of celiac disease, especially those that are in early stages of the disease because the blood does not tend to trip positive until the person has had a significant amount of damage in the gastro-intestinal track. So the only way that we can diagnose celiac disease definitively is through what we call a small intestinal biopsy. This is where the gastroenterologist will go down through the mouth and into the stomach and into the small intestine and take four or five biopsy samples to look and see if there is actual damage to the absorbing surfaces to the small intestinal track called the villi. Gloria Tsang, RD: Now you mentioned about celiac disease and it a nutshell, who else should be on a gluten-free diet? Shelley Case, RD: We know that there are people that can have gluten intolerance or gluten sensitivity that don’t have celiac disease and they may have some similar symptoms such as gastrointestinal problems and they would also need to follow a gluten-free diet. The third group that may purchase gluten-free products would be those with the wheat allergy. People with wheat allergy only have to eliminate the grain wheat and the related grains like spelt and kamut but they don’t have to avoid barley and rye. But nevertheless, if the person with a wheat allergy was buying gluten-free foods, they know it would be safe for their diet. Gloria Tsang, RD: So how do we know if a food is gluten-free? Obviously, we can look for logos but for those that don’t have a logo, how do we know? Shelley Case, RD: First of all, I always teach my clients to look for the words wheat, rye or barley but that’s not always easy because in Canada here, we have some exemptions to our labelling regulations compared to the United States. For example, a company could put modified food starch or hydrolyzed vegetable protein or seasoning blend on the label and they wouldn’t have to declare that it contains a wheat, rye or barley derivative. Where as in the US, if wheat is used in any food products, it can’t be hidden, it has to be declared on the label. Health Canada is making some changes to their labelling regulations that would make it easier for people with celiac disease and food allergies so that all the allergens and gluten sources would have to be declared on the label. Gloria Tsang, RD: Let’s talk about another hot topic. Every time we talk gluten-free, this always comes up and that’s autism. Are there any evidence that a gluten-free diet can prevent or manage symptoms of autism? Shelley Case, RD: Autism, of course, is a very complex disorder and we don’t have a lot of information about what causes autism and of course treatment. There are some anecdotal reports that show children with autism may be helped by eliminating gluten and the dairy protein called casein. But there is hardly anything in the literature to show that it has any effects. But nevertheless, a lot of parents are trying their children on a gluten-free, casein-free diet and we are hearing various reports of it helping. I think what my message is to people dealing with autism, is certainly to work with a registered dietitian because once you start eliminating a lot of gluten and casein foods, that excludes a lot of foods as you can appreciate. With a growing child, in particular children with autism tend be picky eaters to start with. It’s important that they work with a dietitian to make sure they are meeting all their nutritional needs for growth and development. Gloria Tsang, RD: We often focus on food, what about drinks? Shelley Case, RD: The most obvious form of gluten in drinks is beer. Beer, ale and lager is made from barley and so that is a prohibitive grain. The good news is that there are lots of companies now bringing out gluten-free versions of beer using different grains such as sorghum, rice and buckwheat. So that’s one beverage people have to watch out for. The other one is some cocktails and alcoholic beverages may have flavoring agents added to it. Some of the coolers and ciders may have a barley malt flavor added it to. As far as things like distilled alcohol (rye, rum, gin and vodka) even if any of these were derived from a gluten containing grain, the distillation process removes the protein and so it’s not in the final distillate. So therefore, people can drink rye and other distilled alcoholic beverages. Gloria Tsang, RD: Great information. Now let’s talk about your book. It’s often regarded as the bible in the gluten-free community. Please tell our listeners what they can find in your book. Shelley Case, RD: Well Gloria, this is my fourth edition of the book, the Gluten-Free Diet: A Comprehensive Resource Guide. It is filled with detailed information about what foods and ingredients are allowed, what you have to avoid and which ones you have to question as well as the labelling regulations for both the US, Canada and around the world to help people understand when they see the term gluten-free or other labelling components. I talk about all the different grains like amaranth, buchwheat, quinoa, flax, sourghum and teff and how to use them in recipes; meal planning and shopping guidelines; how to prevent cross contamination at home and away from home. And I also have lots of good nutrition information and healthy eating strategies and tips for eating out. The very helpful part that a lot of people find extremely useful is I have over 3,100 gluten-free speciality products listed by category and company name. I also have a directory of more than 270 US, Canadian and international companies as well as gluten-free bakeries and gluten-free stores and distributors throughout North America. So it is a real help to people that have to follow the gluten-free diet because in my opinion as a dietitian, it is probably the most complex diet to follow. Gloria Tsang, RD: Absolutely, great information. This is definitely a must have for the people who have to go on a gluten-free diet. For more information about Shelley and her book, you can check out her website www.glutenfreediet.ca. Thank you again for joining me Shelley. Shelley Case, RD: Thank you so much Gloria. It was a pleasure. Gloria Tsang, RD: We have been talking to nutritionist Shelley Case. 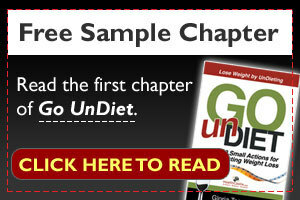 Author of the book, Gluten-Free Diet: a Comprehensive Resource Guide. For more healthy tidbits and information about this show, go to HealthCastle.com.